Ever Wonder Who Does The Art For Game Posters, Ads And Boxes? Sometimes, the art behind a video game is done by the people making the game. Other times, some of the creative process is handled by an external party, like Massive Black, or Atomhawk. Two Dots are another such company, a team of artists who help behind the scenes on everything from a game's world design to its box art and promotional posters. No doubt you've seen a lot of the art featured below, whether online, on your shelf or in a magazine. Now you know where it came from. 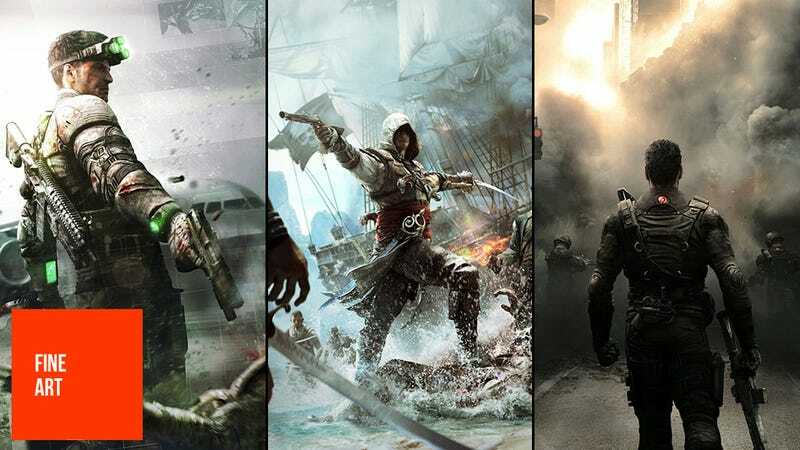 Some of the games they've worked on include Assassin's Creed III, Assassin's Creed IV, Splinter Cell Blacklist, Sleeping Dogs, Watch Dogs and Driver: San Francisco. There's even, if you look, some art down here for the mythical Rainbow Six: Patriots. You can check out more of Two Dots' work at their company site.